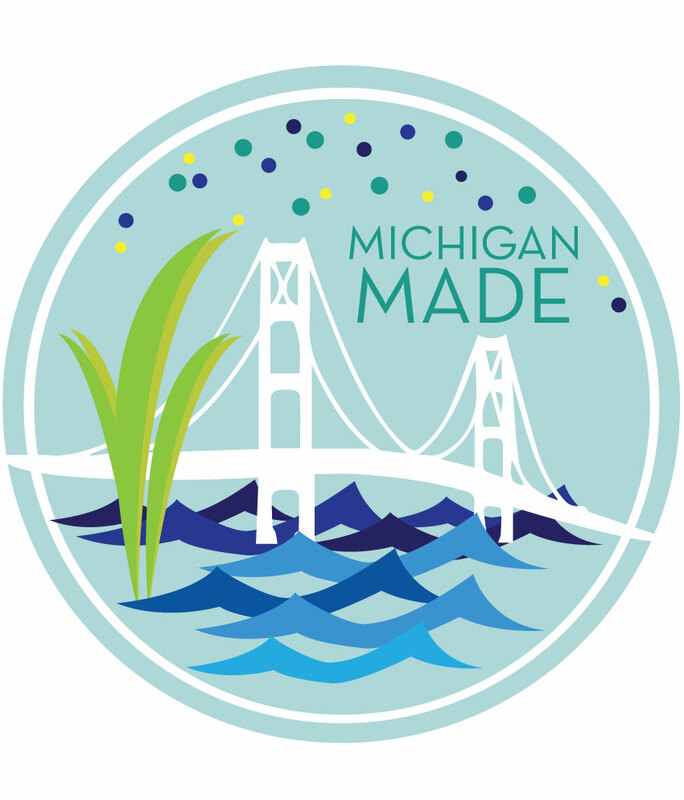 GRAND RAPIDS, Mich. – As part of its Earth Week activities, SpartanNash today announced the trio of winning designs in its Reusable Bag Design contest. Laurel Allen of Omaha, Neb. 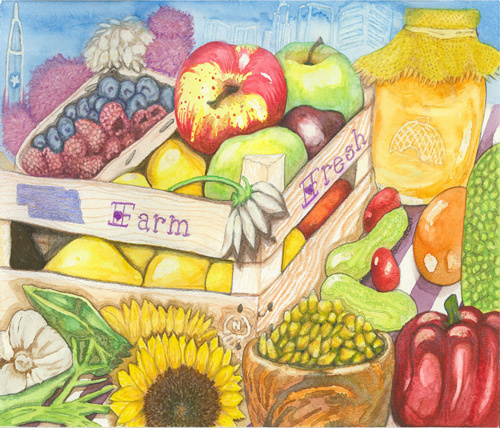 ; Janelle Lomsdal of Moorhead, Minn.; and Alivia Murphy of Harbor Springs, Mich. will each receive a $500 cash prize, and their designs will be featured on limited-edition reusable grocery shopping bags sold in SpartanNash corporate-owned stores this fall. Laurel Allen – Omaha, Neb. Buying local has always meant most when I visit the local farmer’s markets, road side stalls or family orchards. I love shopping at stores that support local farmers! This picture captures some of the best from many seasons of the year in Nebraska. Hidden inside the picture are symbols of things that make living and buying in Nebraska great! A resident of Omaha for 19 years, Allen is an art teacher at Omaha Homeschool Learning Center and an administrative assistant at Grace Fellowship Church. She has been an artist since seventh grade, studying medium and techniques at Rhythm N Hues, a local art and piano instruction school. Janelle Lomsdal – Moorhead, Minn.
My bag design represents the state of North Dakota. The fields and sunflowers pay homage to the state’s prominence in agriculture. 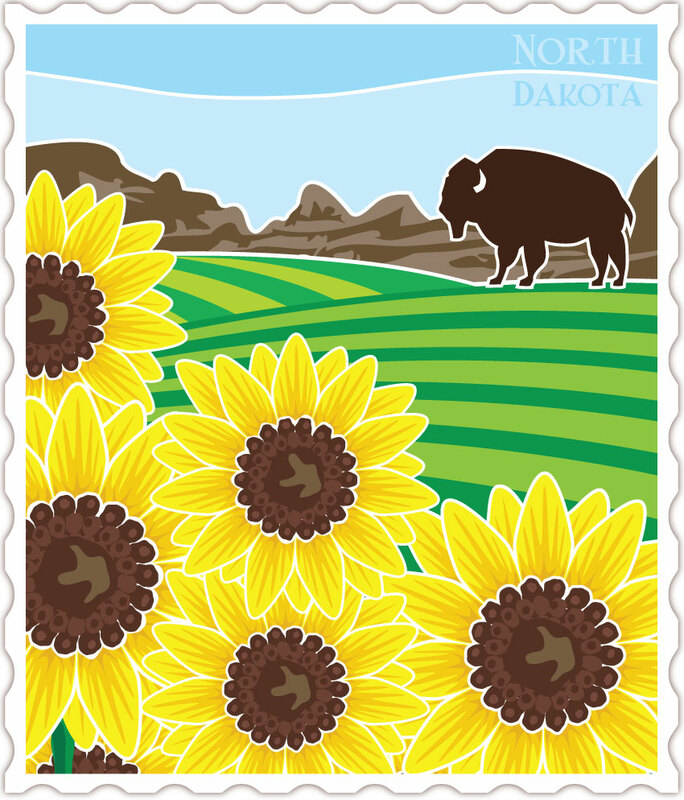 North Dakota is the largest producer of sunflowers in the U.S. The bison (pronounced bizon if you’re a local) is symbolic from the ones that roamed the prairies and the champion NDSU Bison football team from Fargo, to the monument of the world’s largest one in Jamestown. Finally, in the horizon, I have the beautiful badlands from the western part of the state. A graphic artist by trade, Lomsdal is originally from Minnesota and lived in Fargo, N.D. for several years after college. She now lives in Fargo’s twin city, Moorhead. She holds a bachelor’s degree in graphic communications from Minnesota State University-Moorhead, with a minor in mass communication. A SpartanNash associate for the past 21 years, Lomsdal works as a promotions assistant at the company’s Fargo Distribution Center, laying out weekly advertisements. Alivia Murphy – Harbor Springs, Mich.
Northern Michigan in a nutshell – our beautiful bridge, lakes, beach grass and amazing Northern Lights. Some call it God’s Country. I call it home. Murphy, who works for Mitchell Graphics in Petoskey, holds a degree is arts management from Adrian College. Her father, Joe, and stepmom, Debra, are both SpartanNash associates in the North Dakota area. For the Reusable Bag Design contest, SpartanNash asked its store guests, associates and communities from across the U.S. to submit designs representing local state pride in Nebraska, North Dakota and Michigan. In total, SpartanNash received 81 submissions, which were narrowed down to the top three for each state. Voting was then opened to the public, who decided the winning designs in an online survey. More than 2,600 votes were cast, with Allen, Lomsdal and Murphy earning the majority of votes for their respective state contests. D&W Fresh Market, Family Fare Supermarkets, Forest Hills Foods, ValuLand and VG’s stores in Michigan. In addition to the reusable bag design contest, SpartanNash is teaming up with Goodwill Industries for the seventh consecutive year to offer Earth Week donation drives in partnership with 80 of its corporate-owned grocery stores in five states. On Saturday, April 22 and Sunday, April 23, anyone that drops off a donation to a participating Goodwill organization – located in the same community as a participating SpartanNash corporate-owned store – will receive a coupon for $10 off a $25 or more purchase at SpartanNash-owned stores. In total, SpartanNash is partnering with 20 Goodwill organizations across 15 states, including Florida, Georgia, Indiana, Maryland, Michigan, Minnesota, Nebraska, North Carolina, North Dakota, Ohio, Oklahoma, South Dakota, Texas, Virginia and Wisconsin. The company’s four service centers and 17 distribution centers are also hosting onsite donation drives for associates as part of SpartanNash’s Earth Week programs.